Pocket gardens are big, showy displays occurring in a small spaces that may otherwise remain bare. They provide a wow-factor, decorate private retreats and break up the monotony of large fences and paver patios. Pocket gardens can be planted virtually anywhere from cracks in wooden tables to empty wall spaces. They are also a perfect solution for residents with small yards or balconies to decorate and, of course, adding plants to under-utilized spaces is good for the environment. Here’s how to get started planting your own pocket garden. 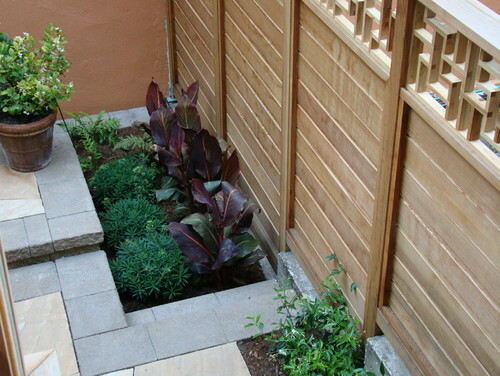 Your entire outdoor space provides opportunities to plant pocket gardens. They’re usually in self-contained spaces like planter space against walls but, as you’ll soon learn, the sky is the limit. First, the amount of sunlight the potential pocket garden area receives determines what types of plants will work. For example, most succulents and herbs need a decent amount of sunlight whereas ferns and bromeliads can handle shade. So, plan the pocket garden in an area that will accommodate the look you like or find plants to accommodate the space in need. Look for areas that can benefit from the addition of plants to add much-needed color and texture. Have a garden path that seems to lead to nowhere? End it at a pocket garden to create a focal point. Is there a private space in the yard where you like to relax? A well-planned pocket garden easily doubles as a zen garden. Or, how about gaps between steps? 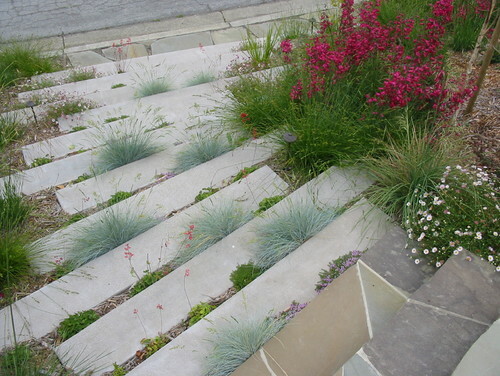 Look at how this homeowner added blue fescue and other compact plants to liven up an otherwise drab space. Can’t find a space? Not to worry, see below. If there isn’t any plantable space in the ground, that’s completely fine. Another popular pocket garden strategy involves using containers. But, we’re not talking about average pots. Try creating a colorful pocket garden in a children’s wagon, baskets, galvanized tubs, unused bird baths and other weather resistant items that create a wow-factor guests are sure to admire. The other benefit to this strategy is that the container gardens are mobile, should you want to move them around, though keep in mind that containers dry out quickly in Southern California sunshine and may require frequent watering. Because pocket gardens are small, they are easy to plant according to a theme. Are you aiming for a tropical look or more of a zen garden? Perhaps just a lovely space with contrasting colors? How about a cluster of pretty, yet functional herbs? The sky is the limit, but themes are definitely helpful with narrowing plant selection. 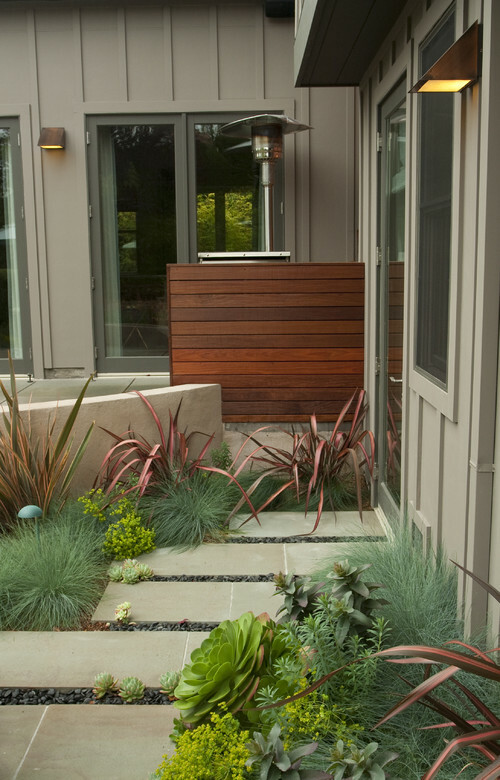 Contemporary Landscape by San Francisco Landscape Architects & Landscape Designers Randy Thueme Design Inc.
Pocket gardens usually pop, through deliberate placement of plants with contrasting heights, colors and textures. Layer height so that the shortest is near the edges and the tallest is in the back or in the center of pocket gardens that can be viewed from all angles. Cut new rosettes or growth off of the mother plant. Plant them immediately as there’s no need to wait for the ends to harden, as some experts recommend. Pack the cuttings into the area tightly, right next to each other to complete the finished look. Add rocks or mulch to exposed soil. Water once a week or as needed. Add more succulents, transplant cuttings and evolve the pocket garden as you wish. Echeveria, Crassula, Sedum and Aeonium tend to work best as cuttings. 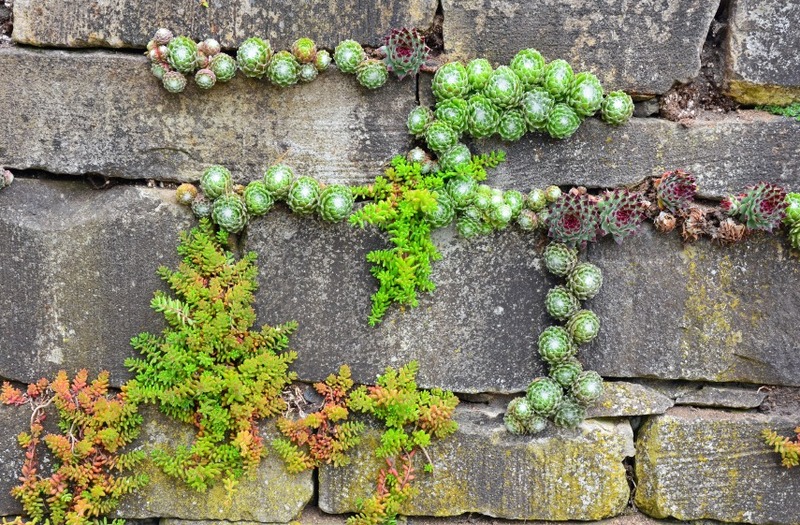 And, if you see small cracks between pavers or in a brick wall, succulents are your best bet in these applications. Alpine plants grow in alpine climates at high elevations where growing conditions include low temperatures, dryness, ultraviolet radiation, and a short growing season among others. Translation: They’re hearty plants that grow extremely well in rock gardens, a popular pocket garden theme. As you might imagine, alpine plants aren’t native to coastal Southern California but they do grow here. It’s extremely important that plants chosen require little maintenance and lack invasive tendencies. Because of the restricted space and minimalist look, horsetail occasionally features in pocket gardens and containers. However, if one spore or broken root blows into the wrong direction establishing itself in an undesirable location, you have a problem that is extremely difficult to control. Plus, some horsetail roots can travel under concrete, from one side of a driveway to the other and beyond. It’s considered a living fossil because it can take years to eradicate from a garden. Because there isn’t much soil in a pocket garden, homeowners need to take care not to over irrigate as a soggy bog is sure to kill off succulents, alpine plants and others. Fertilizers should also be used sparingly in areas where there isn’t much soil to absorb it. Match the plants to the depth of soil available. If there isn’t any soil to speak of, look to air plants that thrive on what their name implies… air. Both the front and back pocket gardens in the above photo make excellent use of varying height, color and texture along with the small pocket garden of pebbles and succulent rosettes sporadically placed in between the large pavers are all quite stunning when mixed together. Consider adding more than one pocket garden to your yard, but giving each area a different theme. This strategy can also play nicely into the idea of making a small yard look bigger by creating separate rooms. Dedicate one pocket garden to a variety of colorful salad lettuce. Choose a zen garden theme for the other. You get the picture. Pocket gardens are proof that big things come in small packages. Do you have a favorite pocket garden plant?